Figure 14. Fuel Pump Elbow Fitting Installation. Use lubricating oil to lubricate gear assembly (Figure 13, Item 7). Use torque wrench and torque 1/4 in. elbow fittings to 168 to 192 in-lbs (19 to 22 N·m). Use torque wrench and torque 3/8 in. elbow fittings to 216 to 264 in-lbs (24 to 30 N·m). Use torque wrench and torque 1/2 in. elbow fittings to 240 to 300 lbs (27 to 34 N·m). Remove the fuel pump (Figure 14, Item 1) from the bench vise. 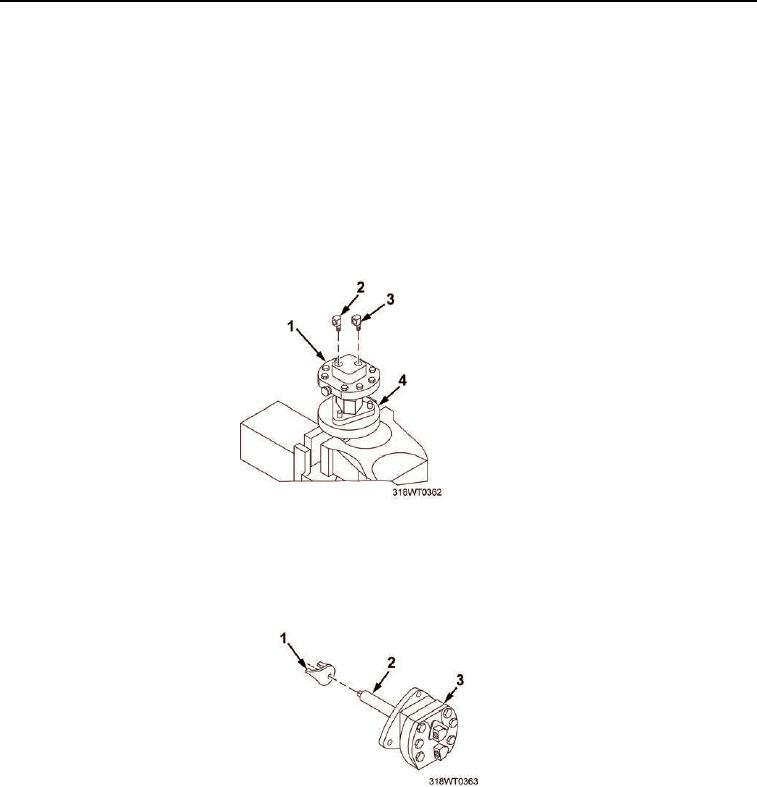 Remove the fuel pump (Figure 14, Item 1) from holding fixture (Figure 14, Item 4). Install drive coupling fork on the end of the pump driveshaft. Figure 15. Drive Coupling Fork Installation.